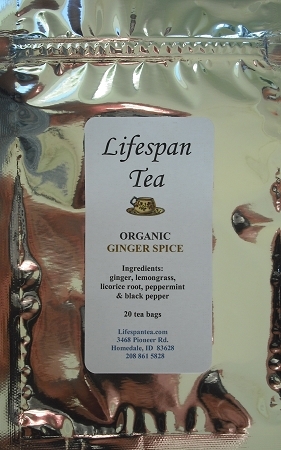 Our Ginger Spice Tea is a warming herbal brew with ginger undertones and a spicy finish. Organic & caffeine free. Ingredients: peppermint, cinnamon, orange peel, cloves & natural flavor.